When you come for your first visit there will be paperwork to complete that asks you detailed questions about your current problem as well as a detailed health history of important events. (These forms are available to print out before your visit. See forms below.) When you enter the treatment room we will discuss in detail your current issue and if appropriate I will take your pulses and look at your tongue. The information that I collect will help to determine the course of the treatment. During a typical acupuncture treatment session you may experience small, disposable needles inserted into specific acupuncture points, electrical stimulation, cupping (a small heated cup placed on the body to help draw blood up to the surface), infrared heat lamp, and/or tui na (chinese medicine massage). At the end of your treatment, chinese herbs, vitamins, and/or dietary changes may be recommended. Most treatments will last approximately 90 minutes. 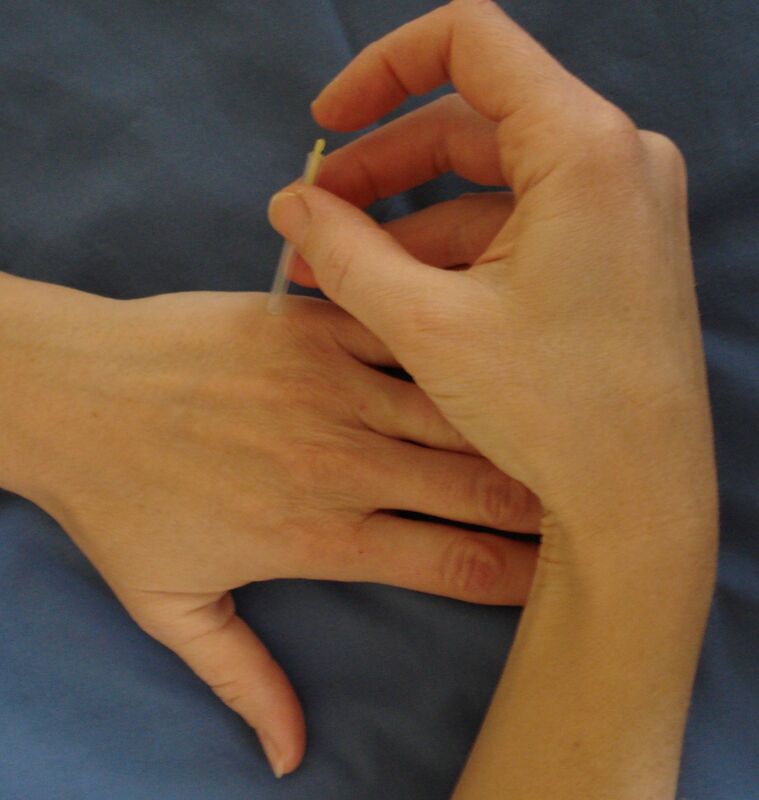 Unlike hypodermic needles, acupuncture needles are solid and hair-thin. Most people feel just a little prick where the needles are inserted without any sharpness or burning sensations. Usually people feel very relaxed once the needles are inserted and have immediate improvement once the needles are removed. Before your first appointment you can download more specific information about an acupuncture session. You can also fill out your health forms and bring them with you. Click here to download the forms.